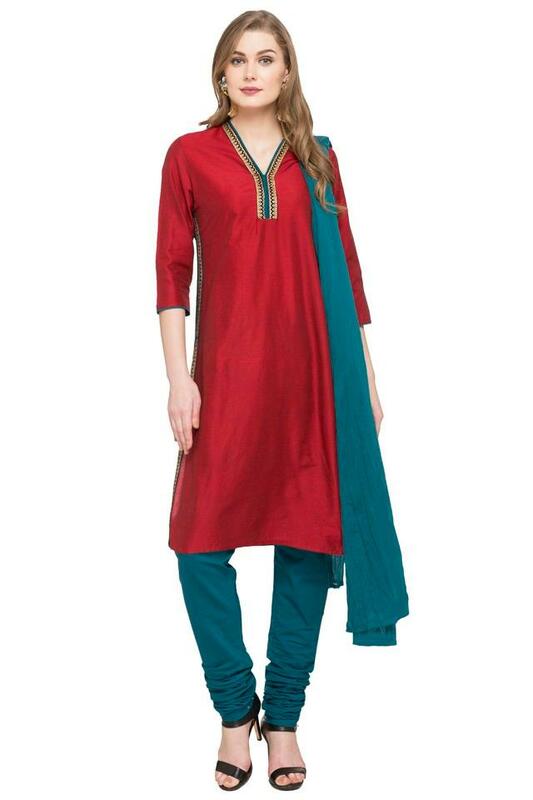 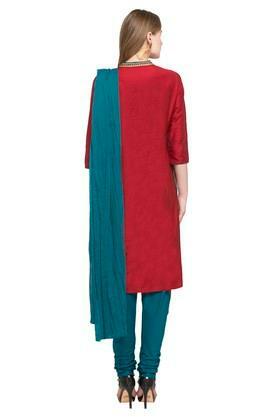 Give your daily dose of fashion a stylish spin by wearing this churidar suit from Stop. It has been crafted with care using a premium quality fabric so that you do not have to compromise on the comfort quotient. Besides, the kurta comes with a print detailing at the front that lends the ensemble an elegant look. Fetch compliments for your fine taste in fashion by wearing this churidar suit with a pair of heeled sandals. 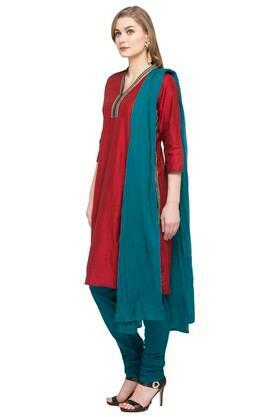 It promises to offer a hassle free maintenance owing to the use of a good quality fabric.